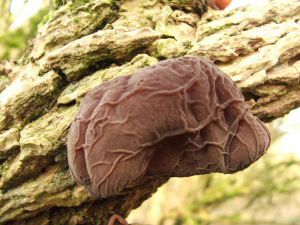 Observation - Jews Ear (Auricularia auricula-judae) - UK and Ireland. Description: growing on Elder (Sambucus nigra). growing on Elder (Sambucus nigra).